Brie Mathers shared with us her organization "Love the Skin You're in", a group established to help educate young girls about rejecting media standards of beauty and to feel power in sisterhood. She was a national-level runner in Canada, then sadly suffered from anorexia. She has a passion for girls struggling with gender stereotypes, body image issues, bullying, etc. 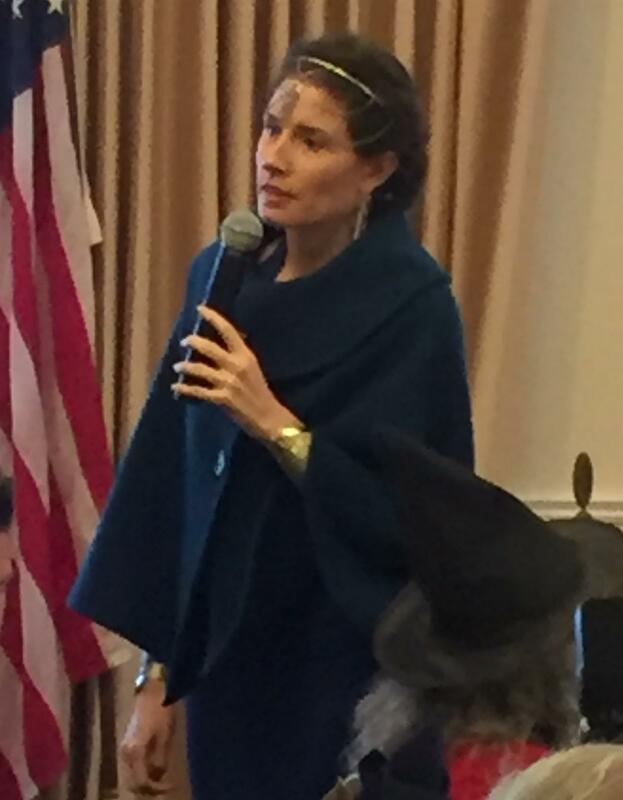 She speaks to large groups of girls, but admits it is hard to find organizations able to afford her speaking fees. She promotes more women in government and wants to light the world with girl power. She has early Rotary ties as she was a Rotary exchange student to France. John Pencer gave a blue badge bio, a feature where newer Rotarians can learn a bit from "vintage" Rotarians. John was born in New Jersey and moved to California at 15. He worked in his family business of repairing surgical instruments, before heading off to Cal Poly for a mechanical engineering degree. He has been running Pencer Instrument Care from 1982-current. His wife Devonne is a frequent attendee of club social events. His 3 adult children live in the area. He enjoys skiing, antique cars and boats (is in a 12 step program for that), plus golf, fly fishing and travel. He joined Rotary in 1972, and served as President in 1979. He listed many mentors in the club, as well as new members he enjoys working with. Editor's note: John is responsible for many hearty laughs at our meetings, and his warmth and smile are ever-present, a key part to the personality of our club. The Fall fundraiser movie night is nearly sold out. Go to club website for the link to buy tickets to "The Last Jedi" Dec 15. The Holiday Brunch tickets will be sold at the meeting starting next week. It is Sunday Dec 3 at La Rinconada Country Club. Morning Rotary member Rob Rennie will be sworn in as new Los Gatos mayor Nov 21 at the Gallery downtown for those wishing to attend. President Suzanne was pleased with a job well done for the Rebuild Together project last Saturday. She is preparing a slide show to share next week highlighting the Rotarians at work. The meeting room was festively decorated for Halloween and candy was at each table. Thanks to those that made this happen. 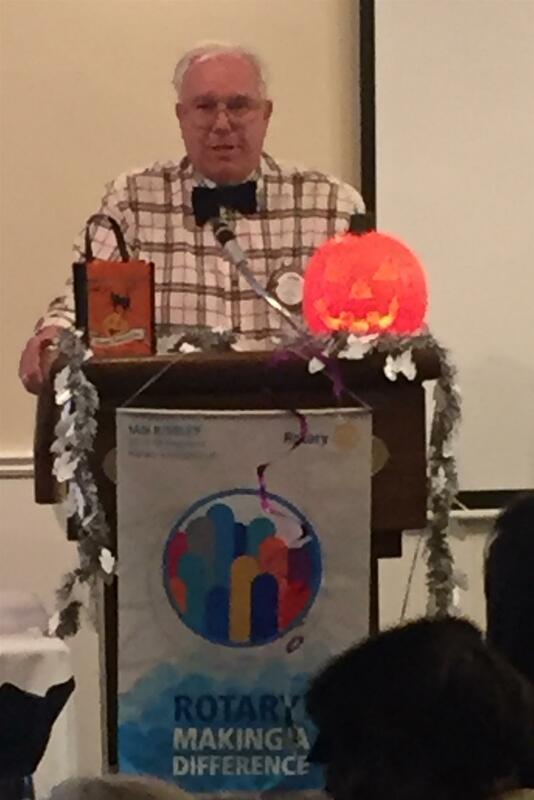 Also, many Rotarians wore costumes, and their pictures are on the club website.